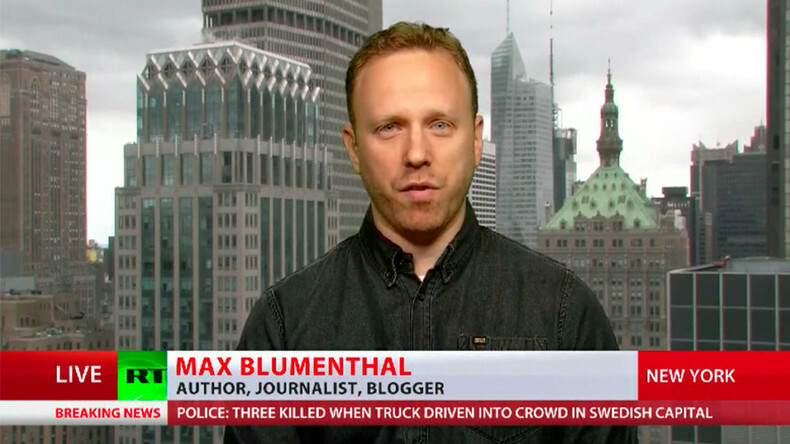 A US airstrike on a Syrian airbase, however potentially illegal, can relieve the pressure being experienced by the Trump administration by the mainstream media, says Max Blumenthal, author, journalist and blogger. The US says it’s prepared for more strikes against Syria after firing 59 missiles at one of the country's key air bases on Friday. 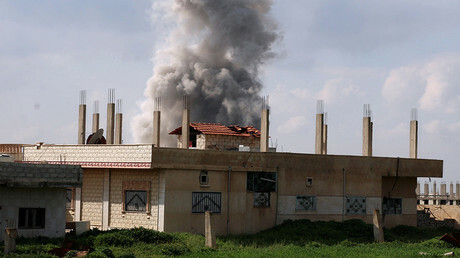 The attack killed at least 9 civilians and 5 Syrian soldiers. 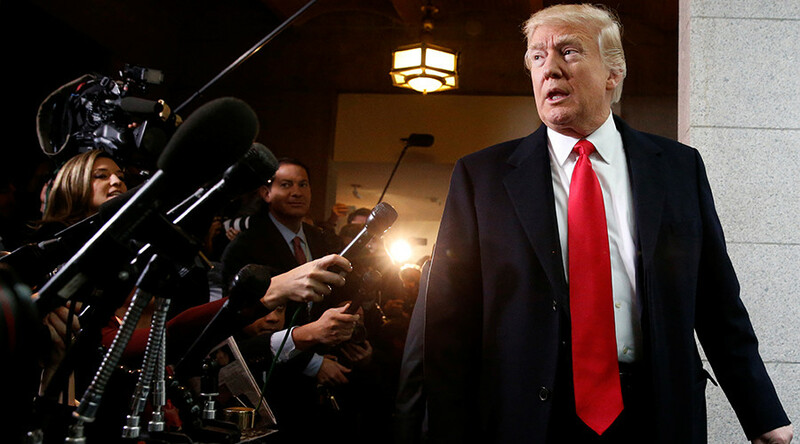 Tellingly, Donald Trump's move has largely won over the mainstream media and marked a significant shift from his presidential campaign stance. RT: What is your reaction to the events that we have seen? What we’ve seen since 2013 “red line” debacle when the Syrian opposition failed to get the intervention it would have needed to march on Damascus is a beefing up of insurgent propaganda as it is known within the intelligence community, basically helping provide the rebels and opposition activists with cameras, media gear. USAID has contributed possibly hundreds of millions of dollars to that. [Additionally, there is] one of the major forces involved in insurgent propaganda, the so-called White Helmets. These are the groups that produce the images that we saw from Khan Sheikhoun. I am not disputing that the images were very real and terrible, but the point of this images and the atrocity exhibition by Nikki Haley at the UN was to overwhelm all reason so that the Organization for the Prohibition of Chemical Weapons would not be able to come in and perform an independent investigation. We had to rely on all these dodgy sources on the ground and Trump was ultimately pushed into implementing a policy that the so-called ‘deep state’, the national security state, has been pushing for ever since 2013. 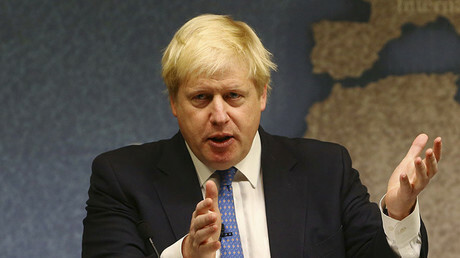 RT: Why do you think we saw such a U-turn? MB: During the campaign what we saw with Trump’s seeming anti-interventionist rhetoric was a reflection of the influence of figures like Stephen Bannon, who was his campaign manager towards the end. Figures like Michael Flynn who had advocated détente with Russia even as he advocates a hard anti-Iran line. And these figures did not want to intervene in Syria. That is very clear. Flynn was ousted thanks to the FISA wiretaps and his lying about his contacts with the Russian ambassador. That was the first piece of the puzzle. Then Bannon was pushed out by Flynn’s replacement, H.R. McMaster, who comes straight out of the national security state. And so when you see these figures get sidelined, then you have the Defense Secretary James Mattis and H.R. McMaster in the driver seat with Trump down in Mar-a-Lago; he is a very weak figure, he may have been even emotionally moved by these pictures, he is an unstable character. And in any case, you also have to factor in the massive amount of pressure that all of this hysteria about Trump’s supposed ties to Russia had on this situation. A symbolic strike on a Syrian airbase can relieve the pressure and we saw a chorus of “idiot” liberals - I would call them “Id-libs” - celebrating the lack of congressional oversight on the Trump administration’s march to war in Syria; a celebration by Trump’s opponents of this potentially internationally illegal attack. From a political domestic standpoint, Trump has scored a kind of victory with his opponents.